Every new year, I tend to make resolutions that fizzle out after a few weeks. So this year, instead of making firmresolutions that I will inevitably end up letting go of, I just want take each day and make the most of it. One way for me to do this, is by crafting, gardening, writing and staying inspired. 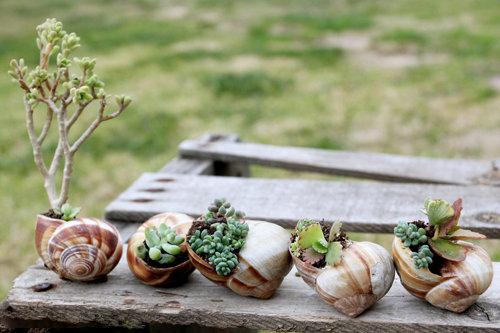 When too many days pass and I haven’t made something by hand, I start to feel uneasy… So over the weekend, I potted up these little snail shell succulent gardens. It’s such a small, simple garden- but because of the tiny size, these shell-potted succulents will need more watering and observation than normal succulent gardens- hopefully forcing me to slow down and really take stock of each day. 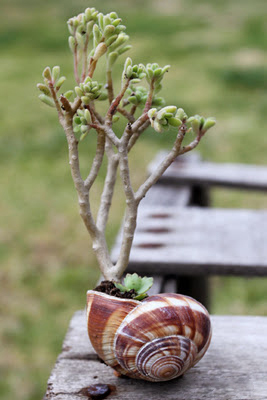 To make your own shell-potted succulents, you will only need some small-growing succulents, large snail shells and potting soil. 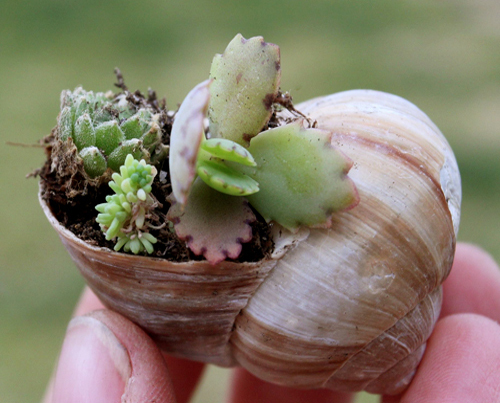 I selected some succulents cuttings that had begun to root, and pushed a few small plants into each of the shells. 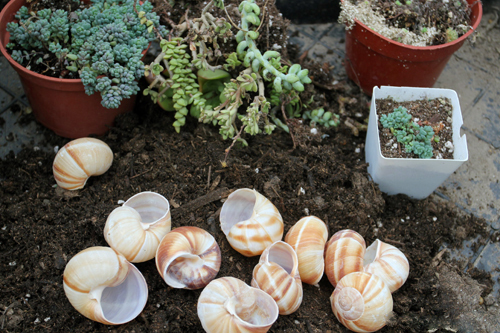 Then, I filled the shells with damp potting soil. 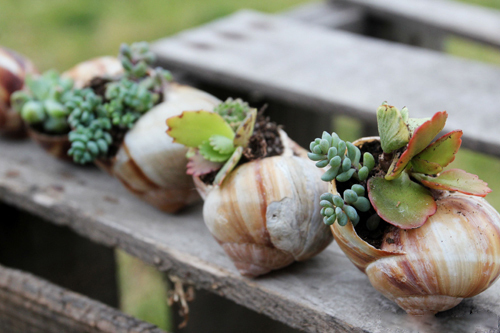 As I potted them up, each shell immediately transformed into a miniature world. I now have them arranged around the house, as well as in the garden.